This whole week I was having difficulty to post on my blog. This one is tried through quick post. This week’s edges have two colours and they are really nice to work. The free graph is here for these edges. This week also the Kutchwork samples are skipped, got fed up with this posting on blog experience. This weekend was a stitch free one, we drove to Dubai. I had thought of working on the way home, but eyes were too tired. The edges this week are quite interesting especially the 23rd edge. The free graphs for these edges are here. The kutchwork border samples are skipped this week. This week was more of searching for inspiration for patterns. The beads and stones were added to the blue green crepe tunic. it is awaiting its turn to go to the tailor. This week’s randjes on Randje per week2015 challenge were simple. 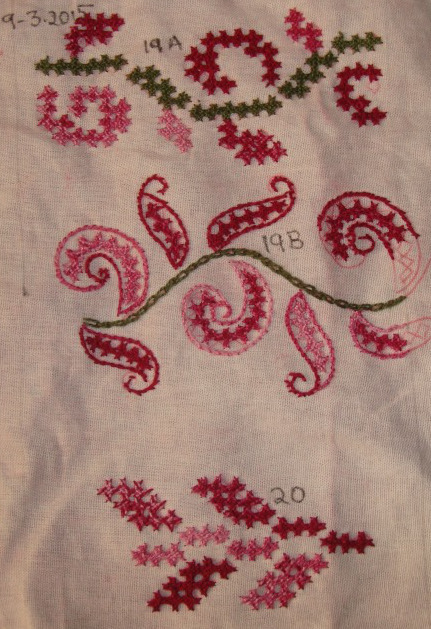 The kutchwork border samples based on these were also simple. I could complete them on the same day. Some progress on kutchwork on brown linen tunic. 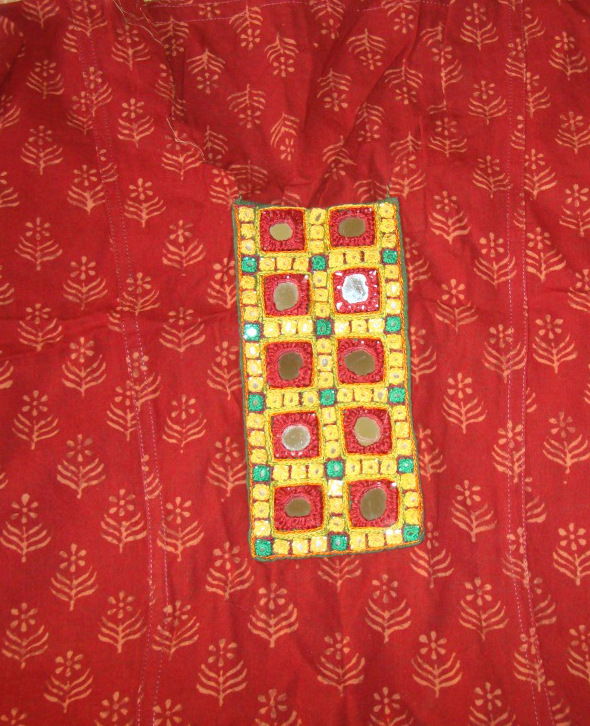 Half of the kutchwork pattern is done in red thread, which is not very clear. but it is there! I am in search of embroidery patterns for tunic, samplers. 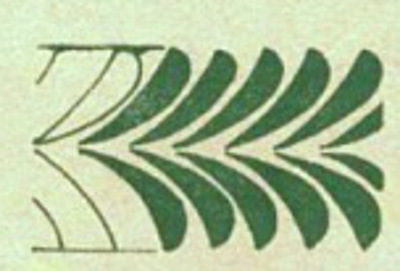 Once in a while I have the habit of downloading old pattern books. 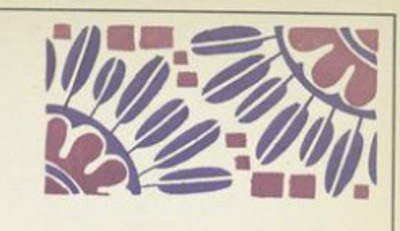 From a book of Hungarian motifs, this pattern repeat was picked up. Still not clear about the project on which this will be used. This is from another book. I want to expand this pattern. Project is not yet decided. It was hard to find the source of these books now. All I can say that these are not mine. I am reveling in the process of browsing the net for ideas at the moment. This week’s randjes were combined with straight stitches. Simple and effective edges. The free graph for these edges are here. The kutchwork borders are simple based on these randjes. 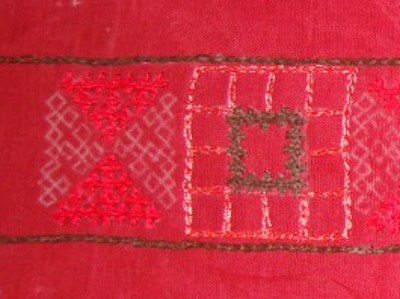 Single kutchwork squares are worked along with straight stitches. These single kutchwork squares being very easy to work with, instructions are not necessary. This week’s cross stitch edges on Randje per week 2015 challenge took a while to work. The picture is here. 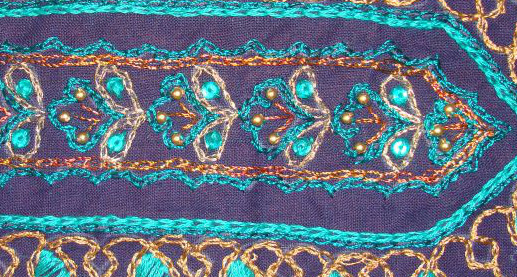 The kutchwork borders based on these edges were also completed, the instructions are here. 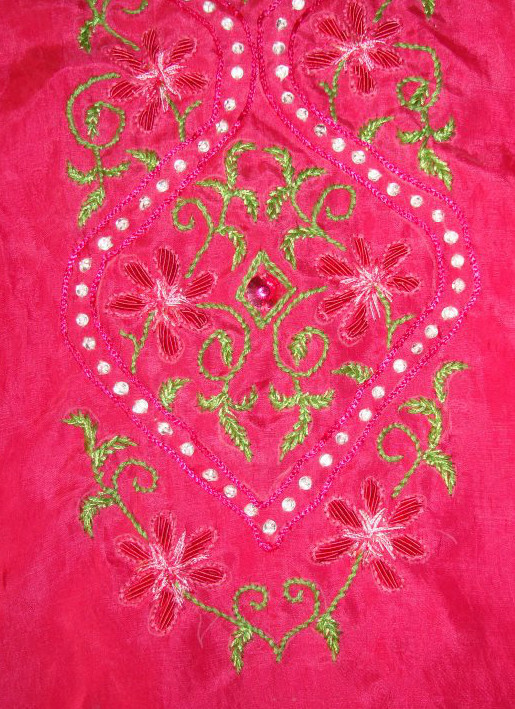 The last part of the pink crepe tunic was to fix white stones between the parallel lines. These stones have holes in the centre, which makes it easier to fix them. I used white cotton thread and beading needle for this. It was completed and is given to the tailor for his part of the job. 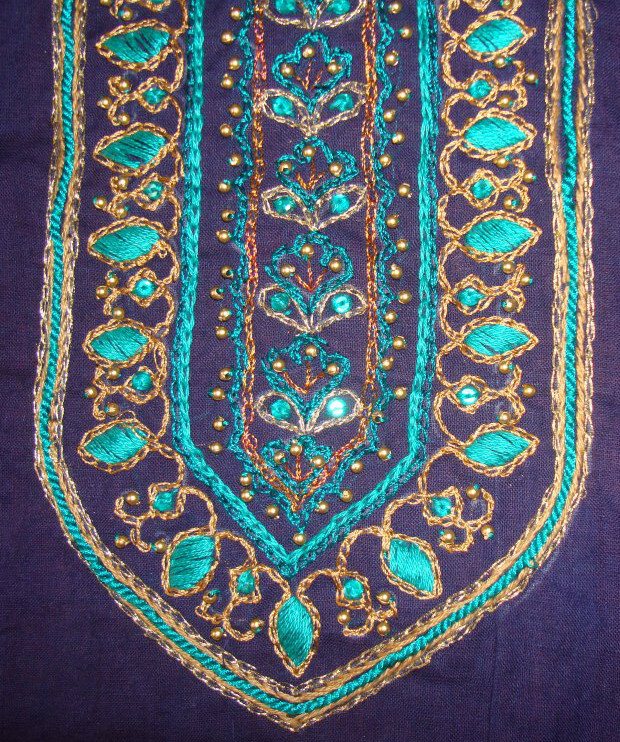 I took the yoke of the blue/green crepe tunic and started working small antique gold beads and blue stones into the central part of the yoke. This yoke requires more of these beads and stones for embellishment, which I hope can be done this week. 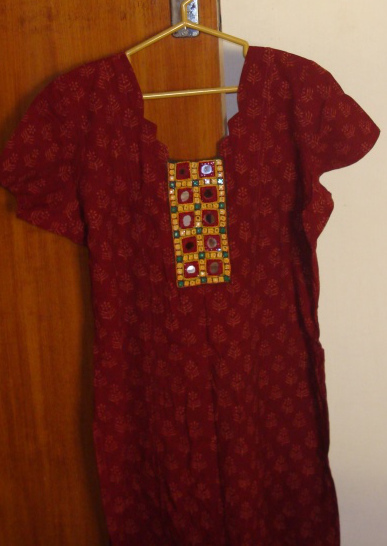 The red kutchwork on brown tunic was taking rest this week. The kutch work border samples which are based on this week’s cross stitch edges on randje per week 2015 challenge are here. the # 19 border has a variation too. 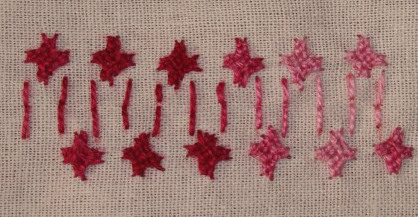 The step by step instructions, patterns are also given for these borders.